Our comprehensive range of lighting solutions will help to create a variety of different moods and atmospheres in many different types of venue. Uplighters provide a soft glow and are a great addition to any event. Lighting filters can be supplied to give a coloured effect. For a more attractive and dynamic effect try using LED parcans, which provide a brighter, multi-coloured, lower powered solution. Pinspots are commonly used for tables, floral arrangements and special effects. Pinspots may be suspended or placed in strategic locations to illuminate various areas. LED parcans are low heat, multi-colour and they are programmable to either flash with music or gently fade between colours. 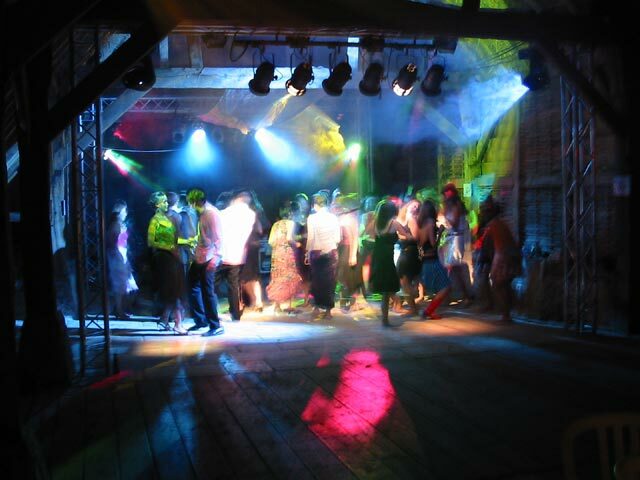 As such, LED’s are perfect for disco areas and effects. Profile lights provide an adjustable beam, and are commonly used with gobo’s to project images such as corporate logos. We have a wide range of gobo’s available, useful for corporate or social events. These can provide a personal touch to any occasion, and can be projected onto buildings or inside marquees.